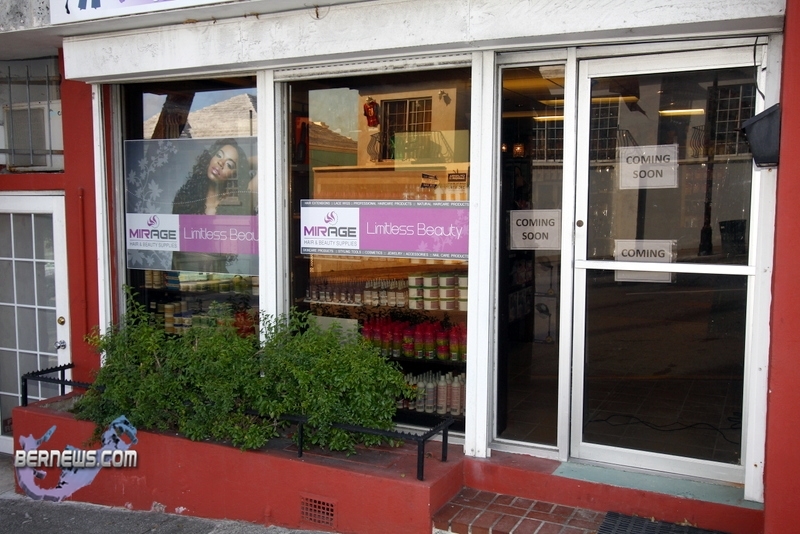 A new hair and beauty supply store is opening its doors this week, with ‘Mirage’ set to retail a wide range of beauty products, including some product lines that were not previously available in Bermuda. Two sisters — Sophia & Nickesha Smith — are the main driving forces behind Mirage, which will be selling hair products, makeup, styling tools, nail polish, skin care items, hair extensions and much more at their Ewing/Court Street location. “My sister and I could remember driving with our girlfriends for miles just to look for a special brand or product,” said Ms Smith. “Nothing is like tangible shopping, and when it comes to purchasing beauty supplies and hair… most times it is better done in person. Asked about the products they will be selling, Ms Smith said: “We are still working our inventory development.. to be honest it will ever be growing. “The beauty industry does have it’s trends, to there will always be a new selection of hair care product, styling tool, wig or extension brands to try out. That’s the beauty of the beauty industry, there are endless items out there for your to explore so you can express your individual beauty. “We are also the distributor of haircare brands that you only be able to find locally at our store [i.e: Straight Request, Vonte, Diva by Cindy, Jessiecurl, MyHoneyChild, Roberts Diamond Bond, Orginal Moxie, Silicon Mix, and Miss Key]. “We are also selling some skin care items like Shea butters [refined or organic], authentic black soap and more. Customers can soon expect growth in that department in 2013 as we have discovered some yummy skin care finds,” explained Ms Smith. “We are also the local distributor for the extensions we carry. We will regularly stock the various line produced by these popular US extension brands [ie., ModelModel, Sensual Collection, Isis Collection, Modu Anytime, Urban Beauty and Soultress Wigs]. 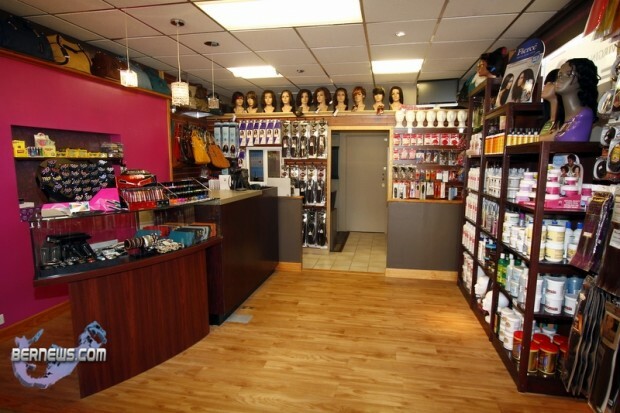 “We do carry makeup, styling tools [combs, brushes, rollers, curling irons, flat irons, blow dryers, standing dryers, and weaving supplies] and nail care products and nail polish. We currently carry the Slick ad XO nail polishes, we find them to have pretty colors with good coverage… and because of their wallet friendly prices, they’re sure to be seen in almost every household here in Bermuda shortly. 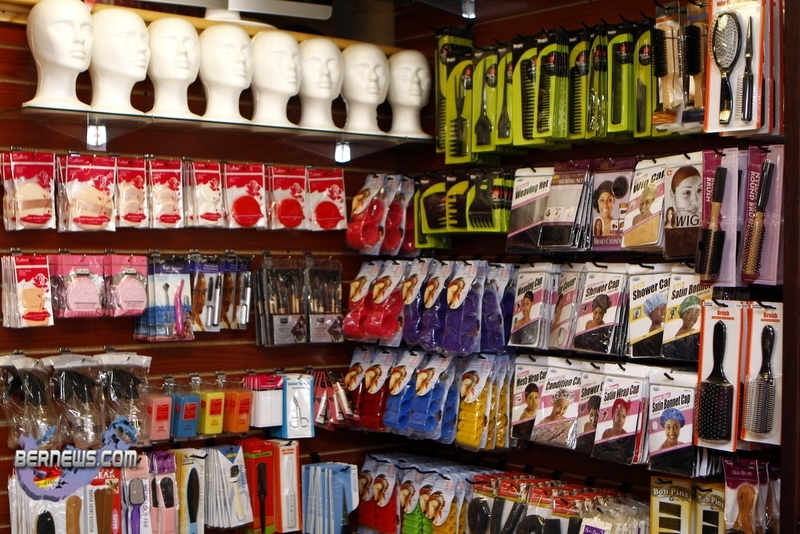 Ms Smith continued: “Our customers can expect that our lines will grow as we supply them the hair & beauty supplies they require to suite their needs. For instance this coming January our nail care product lines will expand to accommodate the needs of our local Nail Technicians. “Also the remainder of our distributor haircare product brands and styling tools will readily available for purchase within the early part of next year… which is not a long wait. “To celebrate our store opening we are offering our customers a 10% off coupon which is available right now on Facebook,” Ms Smith said. 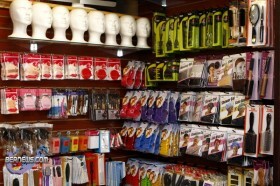 “Persons interested can visit our website [miragehbs.com] or our Facebook page [Facebook.com/miragebda]. Mirage’s soft opening will be held this evening [Dec 11] at 5:30pm at their Ewing/Court Street, Hamilton location, where refreshments will be served, and customers will be offered a special 15% discount. The store will officially open on Wednesday December 12th. For more information visit Mirage’s website. Very smart business to start! All the best to you. This is wonderful! Congratulations to you and best wishes on your business ventures. I know all too well how it is living abroad and not being able to find hair products etc. and having to travel miles to a small business to get them. I am eager to see new businesses like yourself prosper and encourage others to bring what they have to offer and diversify Bermuda. Good luck with your endeavour. I hope you do well. Congratulations and may the Lord bless you both and your new venture. Congrats to you both! Embrace the haters for the are motivators!! Blessings and Prosperity to you! Congrats ladies . . .keep it going and all the best!!! Ignore the ignorance that people may post!!!! Congratulations on your brave endeavor, however I must be the devils advocate and say “without negativity” with majority pharmacy brand products, a location that has a history of drug and gun violence, two weave/beauty suppliers on the same street do you honestly think this was a well thought out business plan? Congratulations ladies the store looks great, can’t wait to shop here. What God has for you no one can take awya from you. I dont care if there is 100 more stores like your or none. Whats yours is your. Enjoy your blessings. If your prices and store hours are competitive you will do very well. 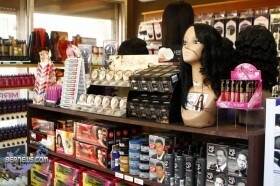 I have found a new place for all my hair needs .with great prices. Lovebird looks clean. I have one here in Us but I love urs. Congrats and how is it going there.